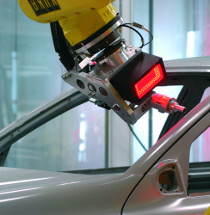 The use of robots in production processes is common in almost all industries. But if a part is not located precisely at the place the robot expects it, the robot cannot complete its task. Its task needs to be completely spelled out. 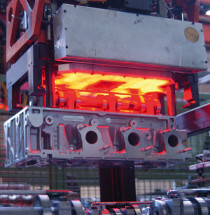 Until now, this has been associated with considerable costs for mechanical supply, execution, or separating. A reliable method for automating production systems – more flexibly and economically – is controlling robots using image processing systems. With its 2DVision system, QUISS offers a complete solution for determining the translation and rotation of components. Depending on the situation, 2DVision guarantees measurement precision of up to 0.5 micrometers and processing time of only a few tenths of a second. The image processing software has a number of versatile algorithms for steering robots to their target precisely, as many times as necessary and is independent of changes in lighting conditions or product variation. 2DVision systems are primarily used for precise removal of parts from containers, component carriers, or transport lines.